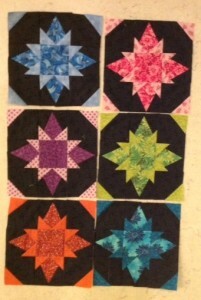 This block was such fun! It looks complex but it’s easy to make. Thanks again for a great block, Sophie. Seeing a bunch together like this really is appealing – it makes the twinkle come out!